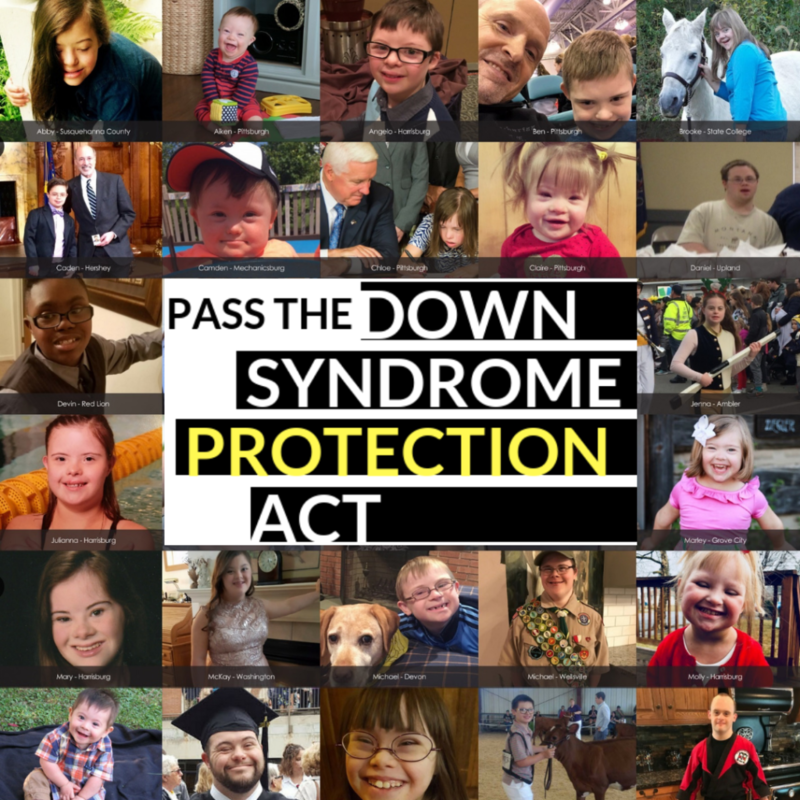 State elected officials announced they will hold a press conference Wednesday, March 20th to announce the introduction of the Down Syndrome Protection Act. The following day, March 21, is World Down Syndrome Day. 3/21 symbolizes trisomy 21, better known as Down syndrome, which is a 3rd copy of the 21st chromosome. From the start of the press conference to the end of World Down Syndrome Day, we want to encourage as many calls into the state Senate and House offices as possible in support of the Down Syndrome Protection Act. That’s where the 3-21 Challenge comes in. If you need phone numbers, you can access them through our form on our action alert at pafamily.org/protect. Thank you in advance for taking on this 3-21 Challenge. With children being targeted for abortion right here in Pennsylvania simply because they have Down syndrome, may this challenge help us advance the Down Syndrome Protection Act, House Bill 321, this session. Join in on Facebook! Click here.